Welcome to December and the first in my Advent Calendar of making joy! Over the next 24 days in the lead up to Christmas Day itself there will be a quick link to something festive including a stack of fabulous craft tutorials and recipes! With many thanks to all the people out there on the interwebs who share such brilliant ideas. 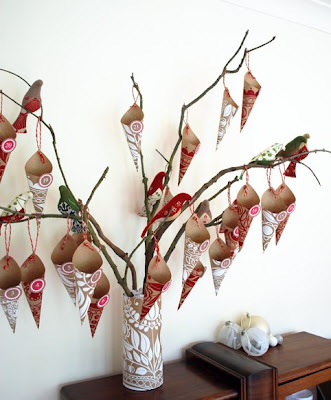 Hopefully you will find something fun to make with your family or ideas for handmade gifts, may the festivities begin! Just in case you've got a little spare time today and no advent calendar!